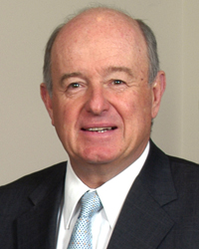 Barry MacLean is President and CEO of MacLean-Fogg Company, a privately held manufacturing company that produces goods for automotive, truck, electric power, and telecommunications corporations. MacLean-Fogg has annual sales of approximately $900 million. MacLean is also a member of the advisory board at Nicolet Capital Investors, LLC and mayor of Mettawa, Illinois. MacLean is a regular contributor to Republican candidates and political committees, reporting more than $200,000 in political contributions to Republicans in the 2014 election cycle alone. He has made at least one undisclosed contribution to Wisconsin Club for Growth, a group that is at the center of a long-running criminal investigation into potentially illegal campaign coordination with Wisconsin Governor Scott Walker. See Political Activity for more information. While MacLean's net worth is not publicly available, he has donated millions of dollars to Dartmouth University and to the University of Chicago, and is a collector of art and antiquities. MacLean is a regular contributor to Republican candidates and political committees. He also serves as a co-chair of the National Council of the right-wing American Enterprise Institute. "The documents also show the club received large checks from donors soon after Walker was advised to solicit funds from them for the group. Those included $250,00 from hedge fund CEO Paul Singer, $100,000 from manufacturer Maclean-Fogg Co., $50,000 donation from Atlanticus Holdings CEO David Hanna's trust, $50,000 from hedge fund chairman Bruce Kovner, $50,000 from natural gas and oil producer Devon Energy, $15,000 from Home Depot co-founder Ken Langone and $15,000 from Trump." (emphasis added). "[Id. at ¶¶ 52, 56; Exhibits 44, 47] A March 10, 2012, itinerary that indicates Scott Walker met with Barry Maclean, the CEO of the Maclean-Fogg Company. On May 17, 2012, the WiCFG bank account reflects a deposit of $100,000 from the Maclean-Fogg Company." The MacLeans continued to make contributions to Walker after the recall, reporting a total of $25,000 in contributions to Walker between 2012 and 2014. Director, Carrier Commercial Refrigeration, Inc.
↑ 1.0 1.1 MacLean-Fogg, Barry MacLean profile, organizational website, accessed May 2015. ↑ MacLean-Fogg, "Corporate Overview," organizational website, accessed May 2015. ↑ 3.00 3.01 3.02 3.03 3.04 3.05 3.06 3.07 3.08 3.09 3.10 3.11 3.12 Bloomberg, Barry Maclean Profile, Bloomberg, May 26, 2015. ↑ Charles Storch and Patrick T. Reardon, "Industrialist is known for maps, philanthropy: Chicagoan's collection target in looted art probe," Chicago Tribune, January 30, 2008. ↑ American Enterprise Institute, "National Council," organizational website, accessed May 2015. ↑ Center for Responsive Politics, "Barry MacLean Contributions (2014 cycle)," Open Secrets database, accessed May 2015. ↑ Center for Responsive Politics, "Mary Ann MacLean Contributions (2014 cycle)," Open Secrets database, accessed May 2015. ↑ Center for Responsive Politics, "Barry Maclean Contributions (2012 cycle)," Open Secrets database, accessed May 2015. ↑ Center for Responsive Politics, "Mary Ann Maclean Contributions (2012 cycle)," Open Secrets database, accessed May 2015. ↑ 10.0 10.1 Wisconsin Democracy Campaign, "MacLean contributions," campaign finance database, accessed May 2015. This page was last edited on 11 October 2017, at 19:02.